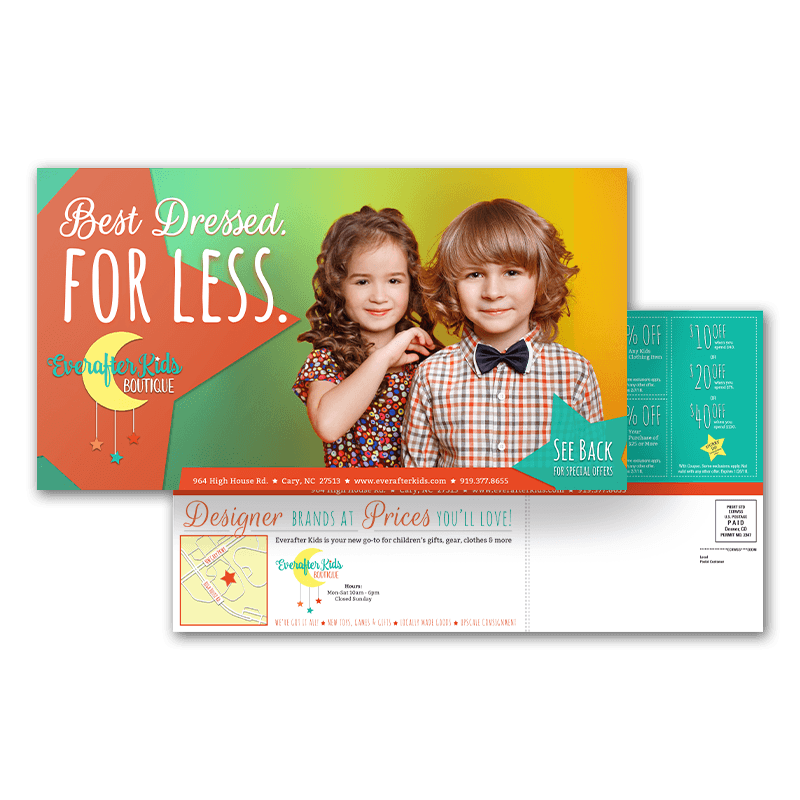 EDDM Super-Size Post Cards are Ross’ most popular mail product. This high-impact EDDM post card gets attention in the mailbox. This format has room for “Big” offers, coupons, store maps and much more. EDDM is a prospecting direct mail strategy, it is used when business owners / marketing managers want to “grow” their business by adding NEW retail customers. Example: If you own a restaurant (or other service based business) then you need to understand the principle of the magic mile…Most of your customers live about 1-2 miles from your restaurant location. EDDM can target those exact households that live in your magic mile.